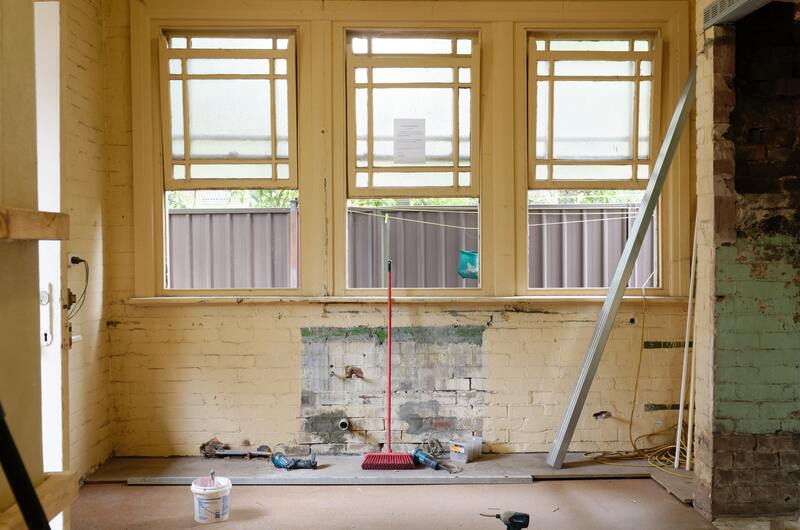 How not to make money mistakes as a fledgling homeowner. Heck, you could knock out a wall. You're soooo ready to be a homeowner. So ready in fact, you're about to make some costly mistakes. But you've been smart and gotten three contractor bids, so why not go with the lowest price? You might want to check out this story from a Michigan couple. Rather than going with a remodeler who'd delivered good work in the past, they hired a contractor offering to complete the work for less than half the cost, in less time. A year later, their house was still a construction zone. You don't want to be in the same spot. What to do: Double-check that all bids include the same project scope -- sometimes one is cheaper because it doesn't include all the actual costs and details of the project. The contractor may lack the experience to know of additional steps and costs. Because the maddening reality is that filing a claim or two, especially in a relatively short period, can trigger an increase in your premium. "As a consumer advocate, I hate telling people not to use something they paid for," says Amy Bach, executive director of nonprofit United Policyholders, which works to empower consumers. But, it's better to pay out of pocket than submit claims that are less than your deductible. Save your insurance for the catastrophic stuff. "You want the cleanest record possible," Bach says. "You want to be seen as the lowest risk. It's like a driving record -- the more tickets you have, the more your insurance." Your best protection? Maintaining your home so small claims don't even materialize. Brandon Hedges, a realtor in Minneapolis-St. Paul, recalls a couple who, though only planning to stay in their home for a few years, quickly replaced all their windows. When the time came to sell, he had to deliver the crushing news that they wouldn't get back their full investment -- more than $30,000. New windows can be a great investment if you're sticking around for awhile, especially if windows are beyond repair, and you want to save on energy bills. Just because you might personally value an upgrade doesn't mean the market will. "It's easy to build yourself out of your neighborhood" and invest more than you can recoup at resale, says Linda Sowell, a REALTOR? in Memphis, Tenn. When you enter homeownership with an apartment's worth of furnishings, entire rooms in your new home are depressingly sparse. You want to feel settled. You want guests at your housewarming party to be able to sit on real furniture. What to do: Live in your home for a while, and you'll get to know your space. Your living room may really need two full couches, not the love seat and a recliner you pictured there. Shortly after moving in, your sump pump dies. You begrudgingly pay for a new one and try to forget about the cash you just dropped. But don't! When it comes time to sell, improvements as small as this are like a resume-builder for your home that can boost its price. And, if problems arise down the road, warranty information for something like a new furnace could save you hundreds. Use your inspection report as your very first home to-do list -- even before you start perusing paint colors. Minor issues that helped take a chunk of change off the sale price can cause cumulative (and sometimes hazardous) damage. Over time, loose gutters could yield thousands in foundation damage. Uninsulated pipes? You could pay hundreds to a plumber when they crack in freezing temperatures. And a single faulty electric outlet could indicate dangerous ungrounded electricity. No one wants to be a Negative Nancy, but there's a benefit to knowing the worst-case scenario. Homeowner Kanter tells the time he hired roofers to remove box gutters from his 1880s home. Little did he know, more often than not aged box gutters come with more extensive rot damage, which his roofers weren't qualified to handle. "We had to have four different contractors come in and close stuff up for the winter," he says. Had he researched the problem, he could have saved money and anxiety by hiring a specialist from the start, he says. You need some basic tools for your first home -- a hammer, screwdriver set, a ladder, maybe a mower. But if you pick up a "novelty" kit (like those cute pink ones) or inexpensive off-brand items, don't be surprised if they break right away, or if components like batteries have to be replaced frequently.